If you are going to spend over $2000 on a handbag (yes, you heard me correctly, that's two thousand big ones), then you damn well want it to be versatile. Well, what is more versatile than a handbag that converts into three different sizes? You see those silver buckle like decorations on the front of this formal handbag from Pineider? Well, they aren't just edgy decorations, but are actually working buckles. As the mood takes you you can make the bag transform from spacious tote, to roomy hobo, to compact purse. All in the blink of an eye. We've all seen convertible purses before, but this is the first one I have seen that does the deed with quite so much ease. Of course, the problem is that this multi-level bag's three varieties still manage to all look rather similar. So it is like buying the same bag, three times over. And then adding a thousand dollars on, just for kicks. Add to that the fact that the Tri-bag's looks are formal and (dare I say it), dull, and it may make people hesitate. Personally I wouldn't spend this much on a handbag, let alone one that just screams "I am for the office!" Would you? 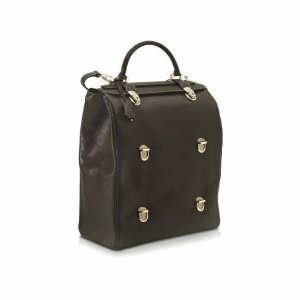 The Botkier Cooper leather tote, a great alternative to this formal bag.